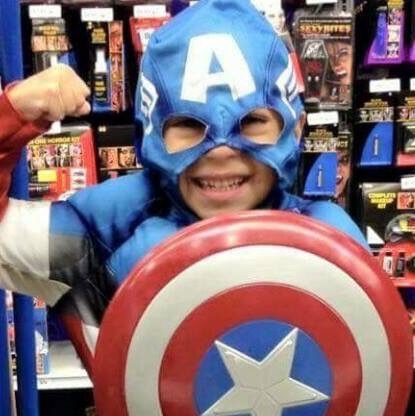 Julian Andrade was a strong active 5 year old little boy who loved his family and loved life. He was always happy, full of cheer, and always on the go. Julian was very articulate and loud. He was the type kid that would be heard before he was seen because he was always talking, laughing, singing and playing. Everything he did was full speed. He loved playing with his monster trucks and Thomas the Train set. In August 2014 we were preparing for his first year of school when we noticed Julian wasn't acting like himself. We notice the excitement of starting kindergarten was quickly fading for him. When we noticed the change we immediately took him to the doctor. In our hearts we knew something was wrong. We were in the hospital for several months but the doctors did not know what was wrong with Julian. It turns out after several tests, major surgeries, and numerous hospital stays, my son was diagnosed with a rare kind of brain cancer. It took the doctors nearly three months to diagnose my son Julian. By the time the doctors figured out what was wrong the cancer had already spread throughout his brain and spinal cord. On Thanksgiving Day 2014 Julian began to lose his vision. The week of Christmas 2014 my son was diagnosed with brain cancer. I remember feeling numb. There is nothing harder in life than losing a child. My husband and I did not know what it meant or how the diagnosis would impact our family. We were instantly thrust into a community of thousands of other families that are battling the horrible disease of cancer. My son was so brave and courageous throughout his fight with cancer. I wish I could say I was as brave as him but I wasn't. Julian gained his wings and went home March 26, 2015. He will always live in my heart and I know he is happy and pain free. In honor of all these precious angels and my son Julian "Captain America" Andrade.